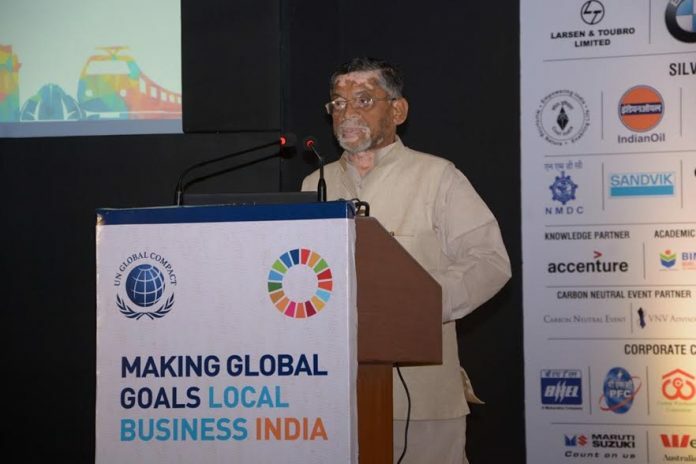 New Delhi: Today, the United Nations Global Compact kicked off its two-day event, bringing together over 300 leaders from business, finance, civil society, government and the UN in New Delhi for its regional flagship event Making Global Goals Local Business – India. With less than 5,000 days left to achieve the UN Sustainable Development Goals (SDGs), the event aims to mobilize responsible business actions, drive breakthrough innovation and create new market opportunities that advance the Global Goals. To enable business around the world to take action on the SDGs, the UN Global Compact launched two important initiatives on the first day of the event. The new Global Opportunity Explorer aims to be the world’s largest digital platform connects business leaders, entrepreneurs and investors with new partners, projects, markets and talents to deliver on the SDGs. Through a new Blueprint for SDG Leadership, the UN Global Compact will guide businesses on how to take concrete leadership action on each of the SDGs. Previous articleI Plan to Enroll into Aakash Coaching Institute.